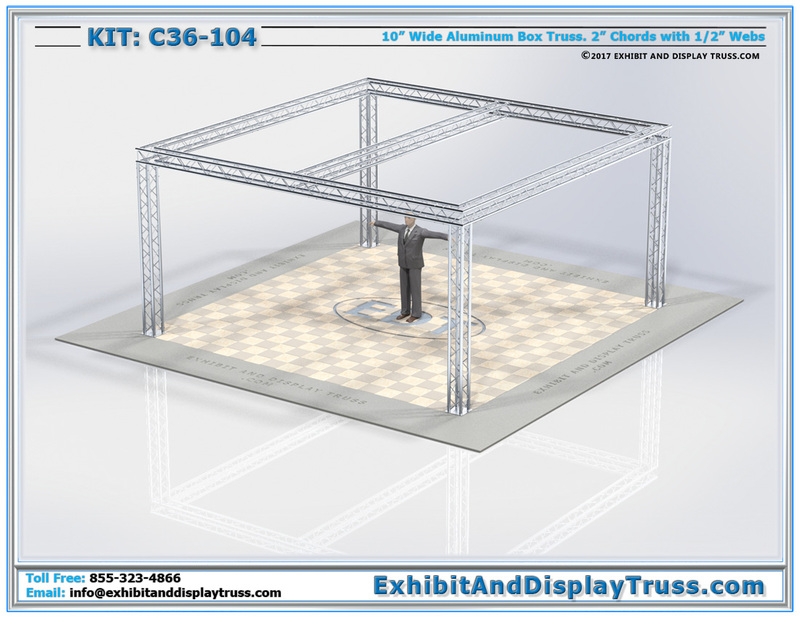 The C36-104 is a 20’x20′ Trade Show Booth. 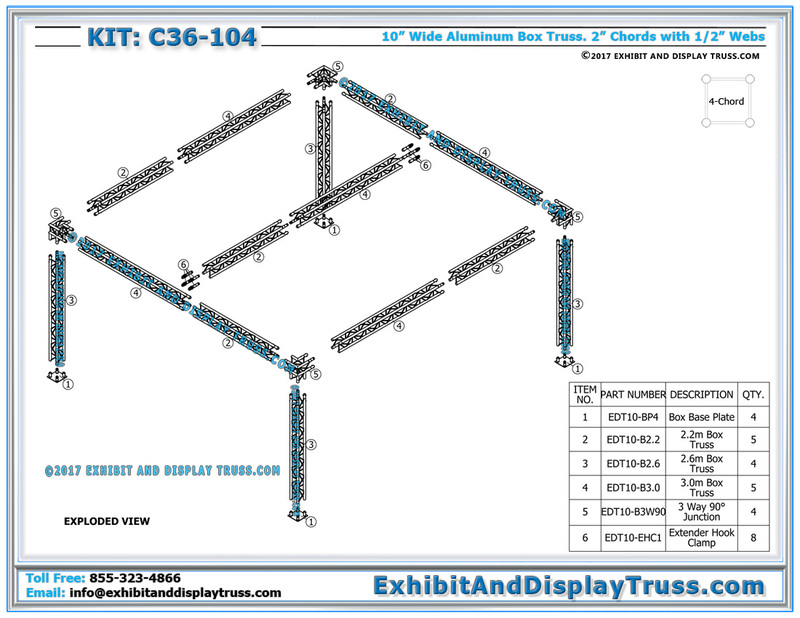 This is a standard truss trade show display size. 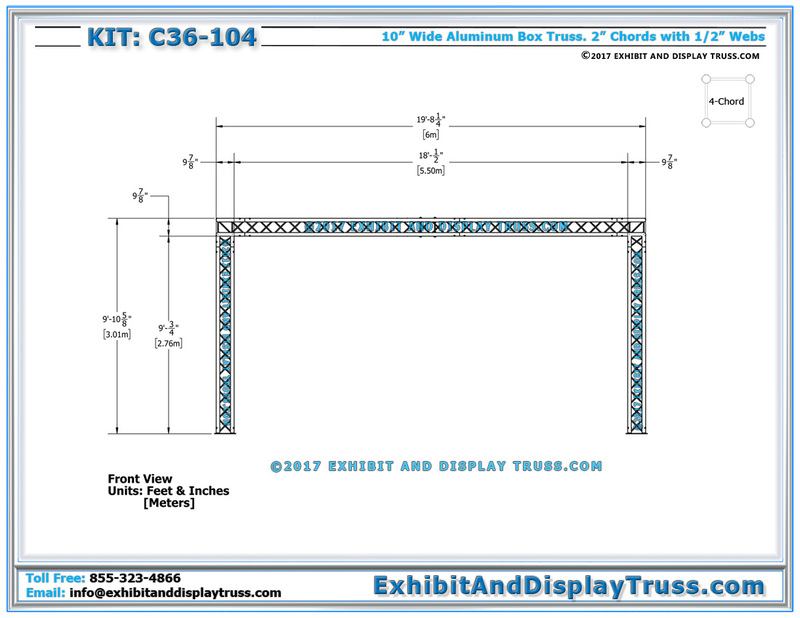 The C36-104 is a version of Truss Kit C21-104, with this booth having an added center truss for additional strength and hanging ability. This beam can be used to hang truss lighting or other truss accessories. Don’t settle for used stage truss, instead go for lightweight, aluminum lighting truss. Other standard trade show booth sizes include 10×10 and 10×20 trade show booths. If you need to alter a dimension on this system, don’t hesitate to ask. We can custom fabricate any length of truss to suit your needs. Light Design Systems and Exhibit and Display Truss offer a wide range of Aluminum Truss Systems, Truss products, and Truss Accessories. Any size or shape of booth we can create for you! We also carry a wide ranging selection of in stock and standard trade show booth displays. 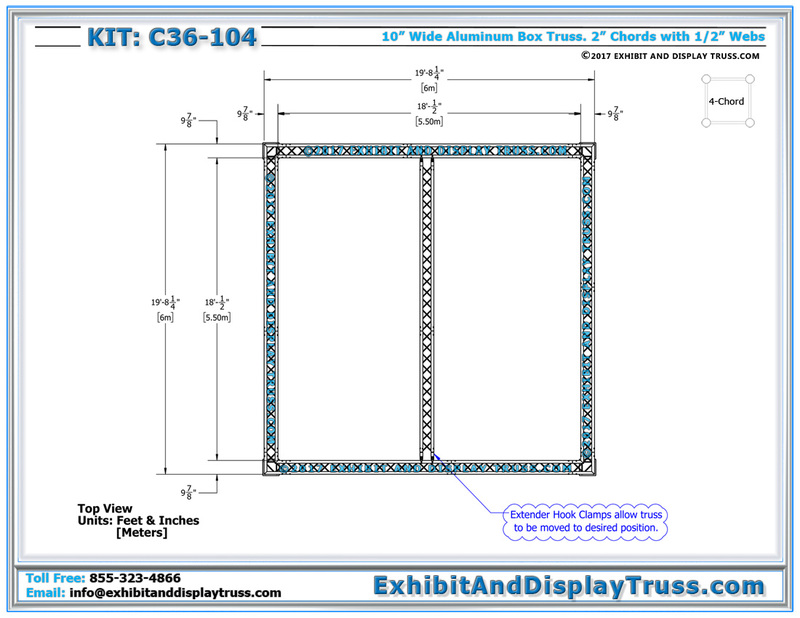 We carry standard perimeter booths, island displays, and Peninsula Booths. Anything you can imagine, we can fabricate. Don’t hesitate to contact our helpful customer service staff. Let us create the perfect booth for you!